 Rally Racer Ned Suesse gives us his top picks for the Dakar Rally 2018 win. It’s that time of year again — Dakar! For a few of us, this is our favorite sporting event in the world to watch, with so many layers to pick apart and so many opportunities for chance to intervene. On top of the usual uncertainties, this year’s race will be unlike any other. For one, it will be conducted entirely within Peru, and will be nearly 70% sand if we can believe the organizers. It will be only 10 stages long, and the shortest route in history, but don’t mistake that for being easy- the factory riders I have spoken to, who have no doubt done their homework, expect it to be a very difficult race, with less “commuting” on easy routes and more difficult sections to replace them. I think we can expect a really technical race. Marc Coma has been the competitive director for the last 3 years, but he stepped down for the 2019 edition. His experience as a racer left an important imprint on how he led the race, he made many decisions to increase competition and erase factory advantage, like running racers back through other tracks to complicate navigation. Will the new race director change these approaches? Only time will tell. As the race is shorter, it has also become more intense. Last year, the finishing rate among the top riders was relatively low, with many of the top riders abandoning. To me, this is a sign for how competitive the race has become — people are riding very near the limit. There is no other starting point than the factory KTM team of Matthias Walkner (1), Toby Price (3), and Sam Sunderland (14). Between the three teammates, they have the last three wins, and they have a support structure second to none (the team won 17 times in a row). Each claims to be ready to assist their teammates once the competitive order shakes out, which makes them a formidable force not only individually but also taken as a whole. 2018 winner Matthias Walkner is healthy and prepared, but can he repeat with stiff competition coming from his teammates? The biggest news here is that Toby Price broke his right scaphoid in a practice crash a few weeks ago- he had it pinned and will be on the start line. As someone with wrist problems of my own, I can attest to how debilitating this type of injury could be, but Toby has beaten the odds before so it is too early to count him out. Toby Price is still recovering from a right scaphoid wrist fracture that occurred during training a few weeks ago. Sam Sunderland is a sand specialist, certainly this terrain suits his skillset. But Sam has only finished one Dakar, which he won. Last year, he crashed out in the sand- his speed is beyond question but his judgment has not been perfect. Matthias Walkner won last year, yet there is very little to say about him. He is prepared, he is healthy, he is quiet. I predict another top finish. The next team is also clear- Honda. Three of their four riders have won stages, and the fourth, Kevin Benavides (47) finished 2nd last year. Starting from the top, Paulo Goncalves (2) has been a steady threat for 11 Dakars since 2006. He sat last year out after an injury, but will return this year with his trademark race craft — his focus has always been being there at the end, rarely winning stages but rarely losing much time. Talented Portuguese rider Paulo Goncalves is back for 2019 after sitting out last year with an injury. The other end of that spectrum is Joan Barreda (5). Bam-Bam, as he is sometimes called, has won more stages in the recent past than anyone else, and also had more spectacular crashes. His skill and determination are amazing (one year, he finished 120 km of a stage with only half a handlebar, he was still 10th! ), but he rides closer to the edge than most Dakar winners ever do. Look for brilliance and drama both. American Ricky Brabec (15) was running in 6th on the second to last day last year, when he had a mechanical issue and was forced to retire. 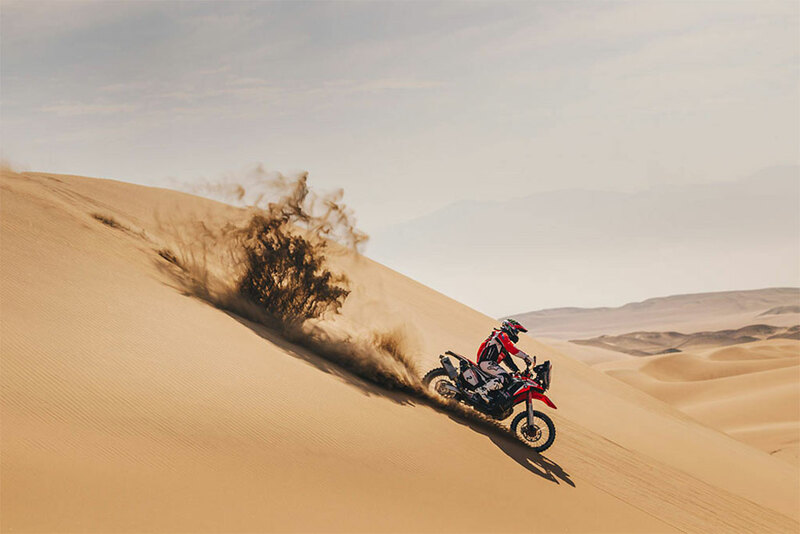 Ricky won the last stage of the last rally before Dakar in Morocco, and finished on the podium there, so he is riding at the top of his game. My fingers are crossed that the affable Baja winner can translate his speed to a podium. Last, but certainly not least, is Kevin Benavides. Kevin was 2nd last year in a well executed race that saw no stage wins — he had great efficiency in going fast enough to be at the front every day, without having to lead out any stages. I think he’ll be a threat again this year, although he had two major crashes in the off season that may slow him down. The next team is factory Husqvarna, with multi-world rally champion Pablo Quintanilla (6) and American 450 supercross winner Andrew Short (29). The bikes are functionally the same as the factory KTMs, so no questions there, and their training is the same as well. 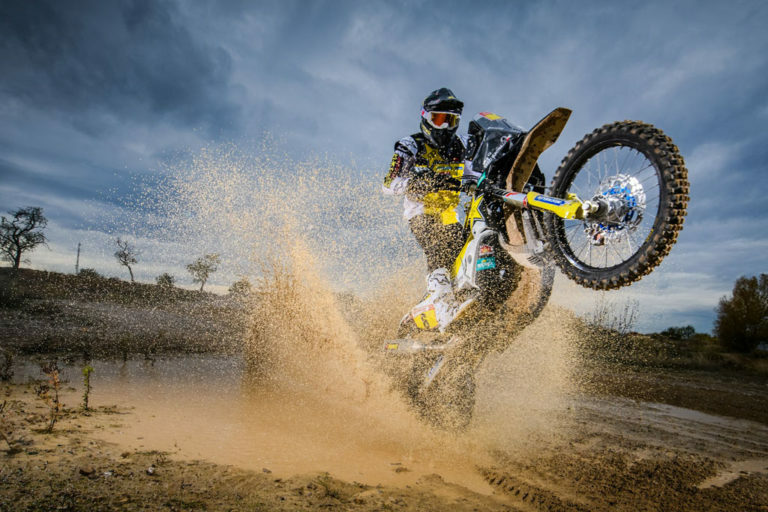 Multi-time world rally champion Pablo Quintanilla, who was a Dakar Podium finisher in 2016, may be ready to take the next step with a little luck on his side. 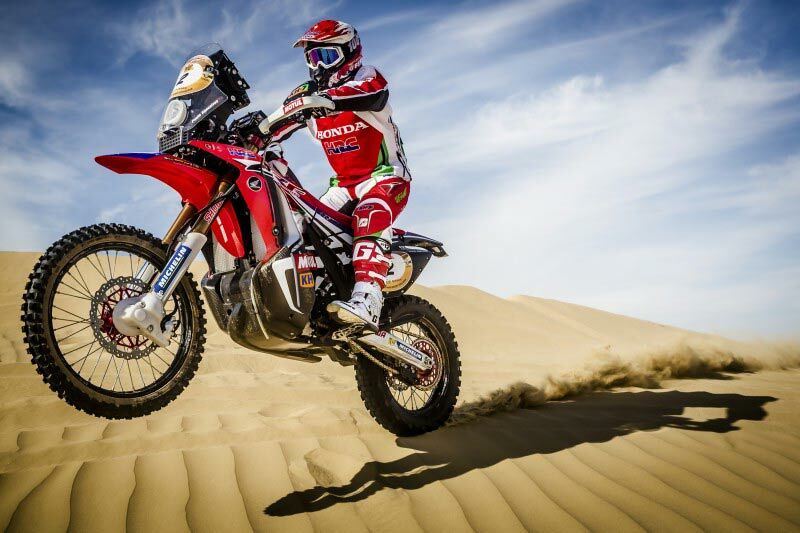 Pablo Quintanilla has won the World championship in cross country rally twice, in 2016 and 2017, and he finished third in Dakar in 2016, so his resume is excellent. His goal is victory, but for that to happen, he needs good luck on his side. Of all the racers, Andrew Short will be my favorite to cheer for. 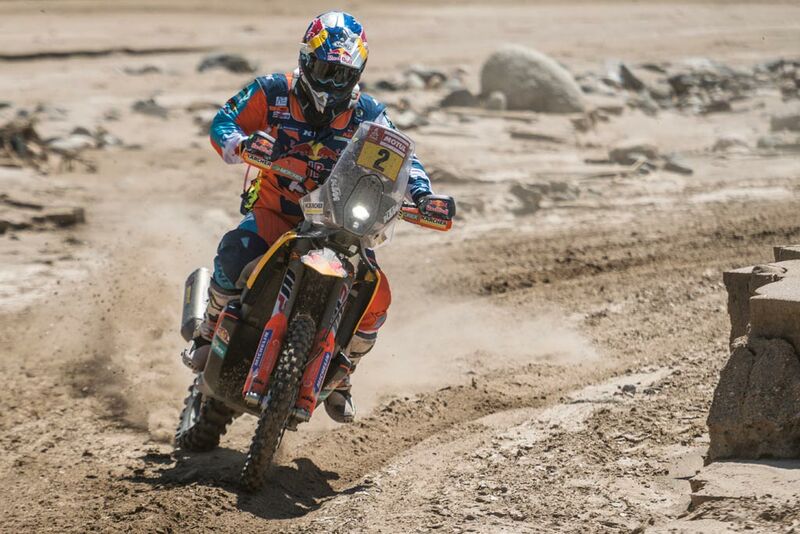 He finished the Desafio Inca in Peru this year in 3rd, on very similar terrain to the Dakar. More importantly, I’ve never met a better sportsman. He is absolutely determined to make his mark on Rally, and you’d be wrong to discount someone with Andrew’s credentials. Last year, he rode the last 3 days on a broken ankle… so he’s not a creampuff motocrosser who’s afraid to get too far from the truck. He has been training with Ricky Brabec and Jimmy Lewis to put together the best result he can, and you can bet he’ll do it with grace and a big smile. Last but not least, we are lucky to have a few more Americans to cheer for this year. Petr Vlcek (59) is listed as a Czech, but lives in South Carolina. He’s competed twice before, and finished both times, which is an impressive feat. Petr, or Angelo as he is known to his friends, is the friendliest guy you could ever hope to meet and we all hope he puts together an even better race this year. Garret Poucher (71) is a Baja racer from Southern California who is fast and competent. Look for a strong finish as the technical terrain will be familiar to US riders. Skyler Howes (73) will be someone to watch. Skyler has been at the front of US Hare and Hound races for many years, done well in Baja, and proven he has world class speed. Skyler would like to finish in the top 20 and I believe he can, but my hope is that he slows down enough to learn from the race and lets the result come to him. Too often we have seen fast off-roaders rush into roadbook racing and learn a tough lesson. Finally, Nathan Rafferty (104) is the CEO of the Utah Ski Corporation, so we have to admire his dedication to take off during the busiest time of the year. Last year, he competed in the Africa Eco Race, and finished 6th overall, which shows both his skill and determination — Dakar will be a more competitive race, but he has shown he has skill and grit. At the end of the day, the best part of Dakar is cheering for everyone to finish and our favorites to win. The race provides the adversity, so we can sit back and hope every racer has their best adventure. My bet for the overall is Matthias Walkner, but while I think he is the most likely winner, I will be a little surprised if that comes to pass. 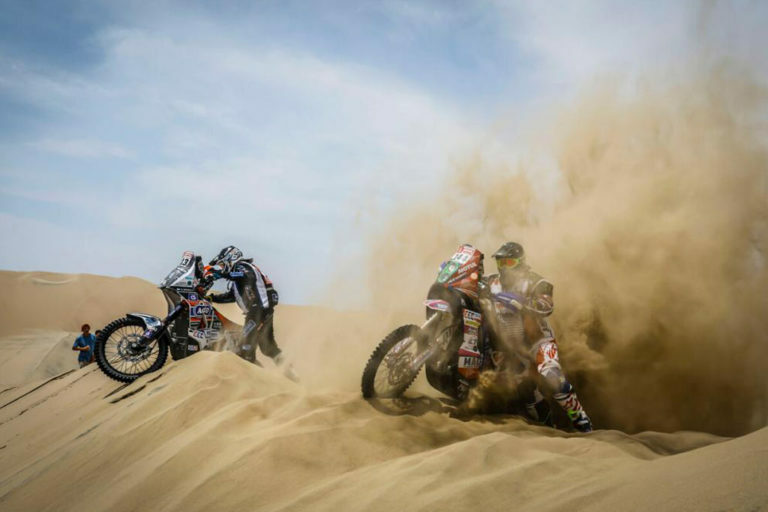 Dakar has a way of unfolding differently than expected! 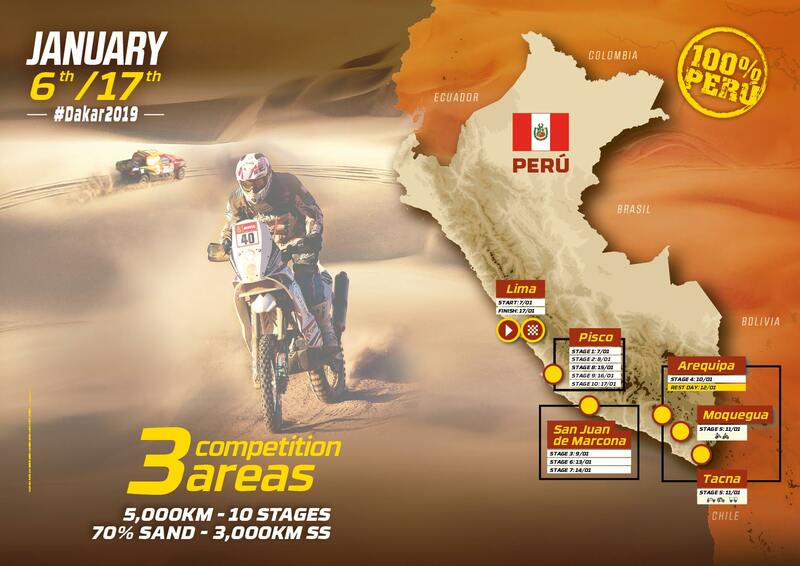 The 2019 Dakar Rally runs from January 6th to the 17th with 10 stages of racing plus a rest day in between. You can watch daily highlights on Red Bull TV starting January 6th at 4:00 PM PST. A list of TV Broadcasters can also be found on the Dakar Rally website. Ned is a Moto Journalist, Dakar Rally Finisher and the founder of DoubleTake Mirrors. He began riding off-road motorcycles shortly after college, which eventually developed into a desire to race. His competitive racing career has taken him from Mexico to Tunisia, Italy and all over the Americas. 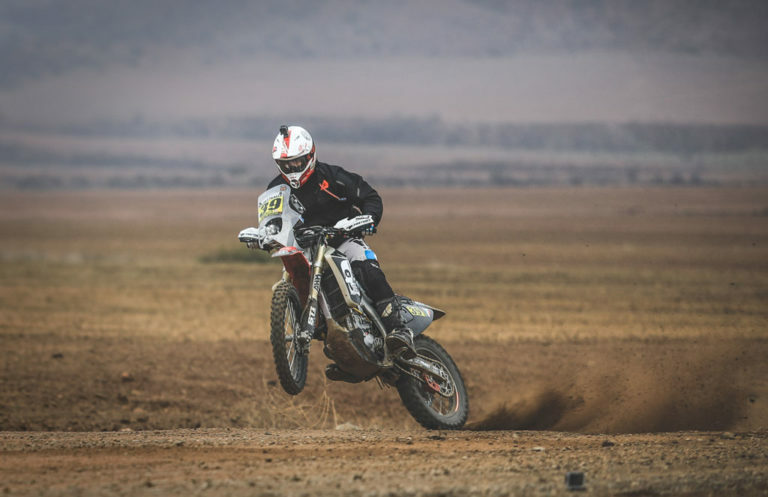 He finally reached his dream of racing the Dakar Rally in 2012 at the age of 35. Ned crossed the Finish Line 53rd out of the 188 participants, and was the only American to go all the way that year! Which of these guys are running Malle Moto this year? On the “Riders” page, Malle Moto competitors have a red shield (“Original by Motul”). Goooooo Paulo……. I want to see Speedy win for him and for Portugal! Rooting for Ricky Beee as well, I wish team Honda well but you never know, team Yamaha did great last year. If Adrian didn’t crash out near the end it could have been the biggest surprise of them all. I’m looking forward to a great race! Great insight, Ned! I had the honor of racing with Garrett and Skyler at Baja Rally and Sonora Rally so they’re my sentimental favorites. I have Petr’s (Angelo’s) shirt just like I bought yours that I still wear with the various holes from illegal fireworks or cigar ashes or some such mayhem lol. My guess is Toby Price, Kevin Benavides, Matthias Walkner, Pablo Quintanilla, Paulo Goncalves, Sam Sunderland, Joan Barreda, Ricky Brabec, Andrew Short, in that order. Any reason you failed to mention Yamaha’s team Ned? I would consider Van Beveren a serious threat. Yes, because I’m an idiot! I agree, Van Beveren was in the lead when he crashed out last year, and I’m sure he learned a few things from being a the front end. De Soultrait is probably not headed for the podium but definitely is a legitimate teammate to assist. The biggest question in my mind is whether the Yamaha, as a reworked MX bike, has the strength and stability to win. The KTM is purpose built from the ground up with a trellis frame that lends incredible stability- I’m not sure the Yamaha is as good. Ha-ha, thanks for that Ned! I didn’t realize the Yamaha wasn’t purpose built like the KTM, be interesting to see if it holds up. Van Beveren will like the fact they’ll be in the dunes a lot this year. Can’t wait! 10 days only makes me kind of sad. Remember when it was 21? We have plenty of sprint races already. A shorter race (distance and time), and easier access to assistance crews may be more appealing to factory teams and riders, but sacrifices the required mental toughness (think PG Lundmark, etc.) for all competitiors. Kids today just don’t understand how easy they have it. I’m too grumpy to watch any more. I agree Charlie- the fundamental nature of the race has changed and not for the better in my view. I could be wrong but have heard Short will not compete, rather switching to GNCC racing? Anyone have clarification on that? False- Short will race WORCS in addition to Rally. He’ll be there! Great article Ned. Looking forward to your thoughts throughout the race.